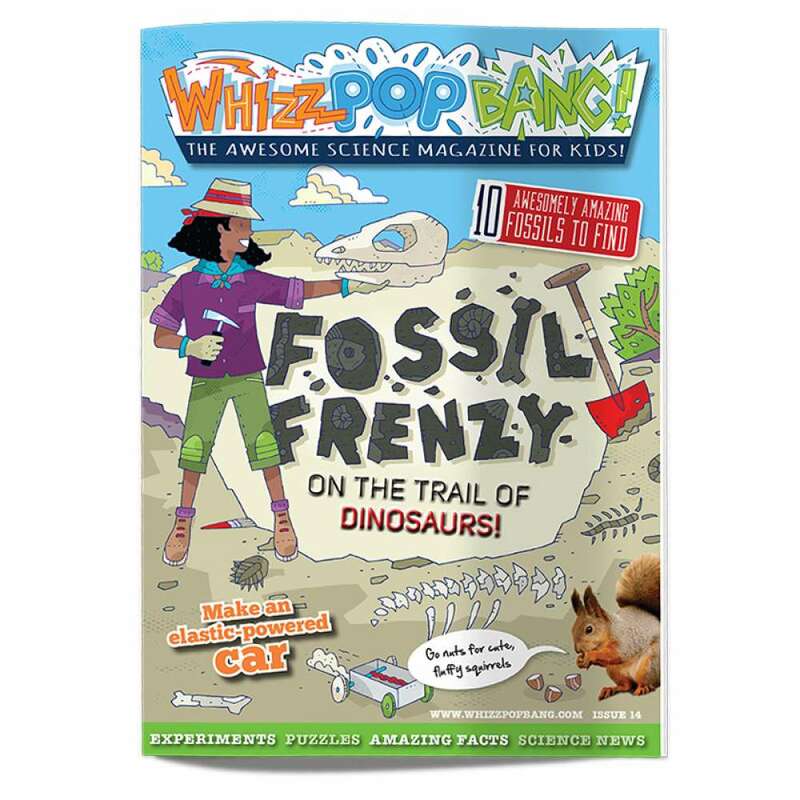 This edition of Whizz Pop Bang is literally strewn with fossil finds!! Dig deep and you'll uncover dinosaur wings preserved in amber, bizarre fossilised mammals and devils' toenails! 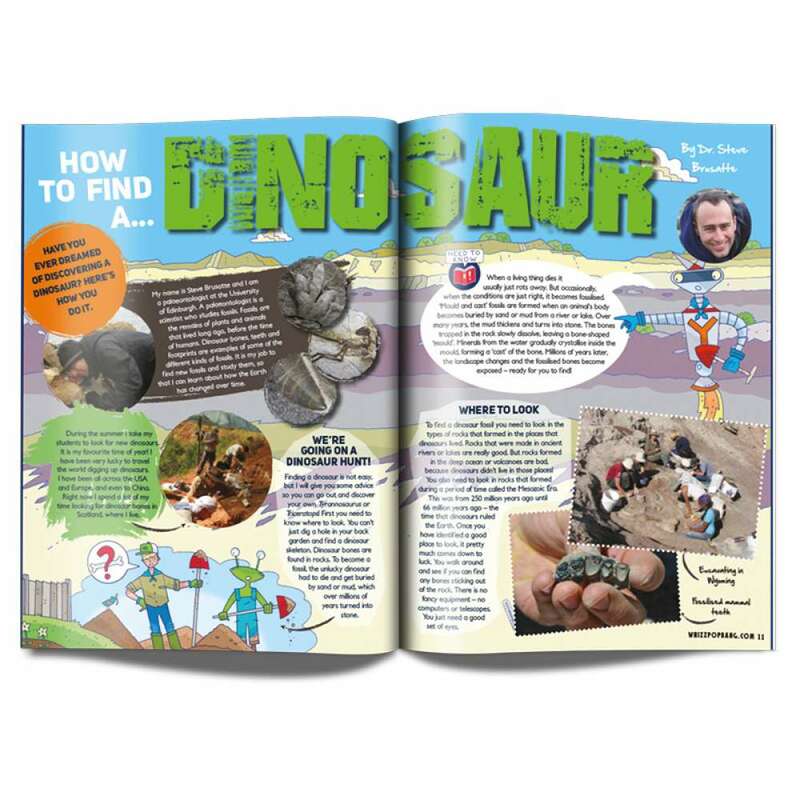 You can read about pioneering explorer Roy Chapman Andrews and get tips from dino-hunting expert Steve Brusatte, who explains how to go about finding a dinosaur yourself. And we've also squeezed in lots of other awesome science too, like cute, fluffy squirrels, a hands-on look at what makes vehicles go and rocket shooters that you can cut out and blast off! 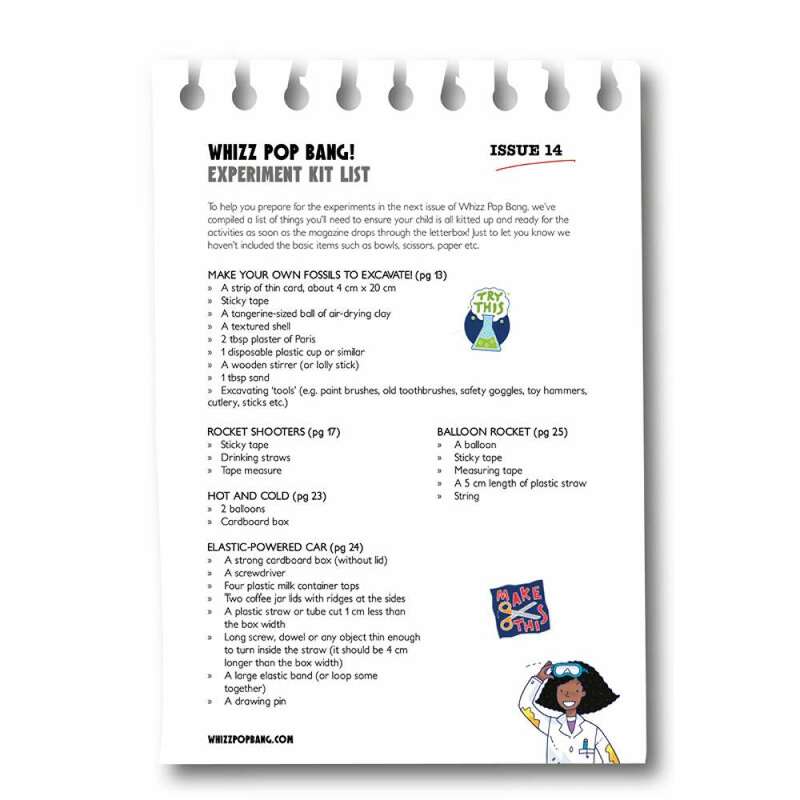 There's plenty of experiments to try at home including making your own fake fossils to excavate, building an elastic-powered car and a balloon-powered rocket - yes, it's all happening in Issue 14's Fossil Frenzy!